Donate to the Gary Webster Young Musicians Fund – It’s tax deductible! If you’re looking to make a year-end contribution to a charity for your 2016 tax deductions, consider donating to the Gary Webster Young Musicians Fund. 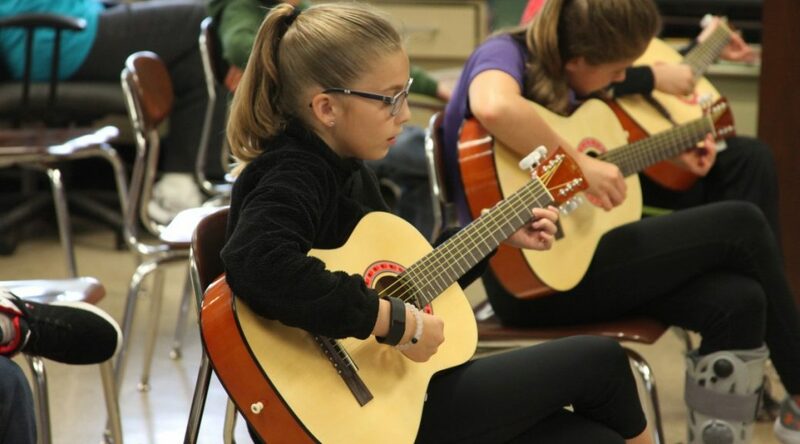 We are expanding our program to include both Cooks Corners Elementary School and Flint Lake Elementary in 2017, which means we will be awarding four music guitar lessons scholarships this coming year in Gary’s name. Our hope is to get the program into every Valparaiso elementary school at some point in the future. But we need your help! 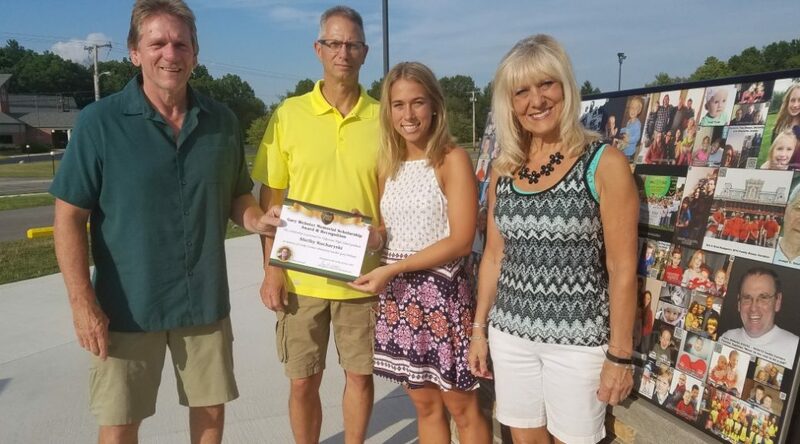 Congratulations to Valparaiso graduate Shelby Kucharyski as the 2016 recipient of the Gary Webster Memorial Scholarship. Shelby, who will be attending Central Michigan University in Mt. Pleasant, Michigan, this fall, has received a $1,500 scholarship for her freshman year, with a $1,000 scholarship to be awarded prior to her sophomore year if she maintains a 2.0 GPA or better during her first year of college. 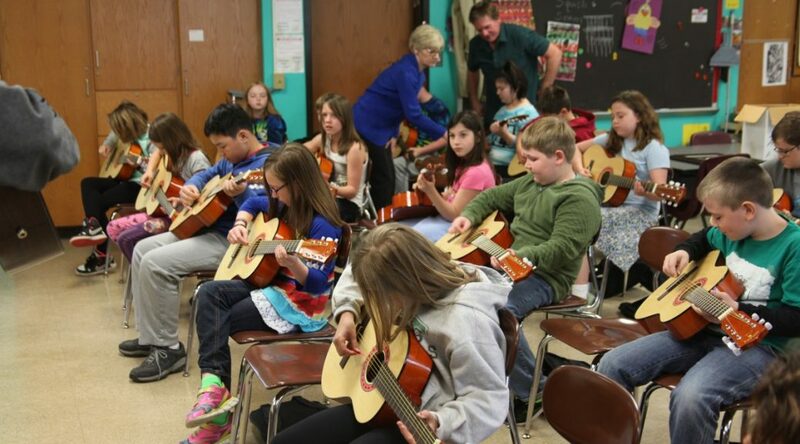 The Gary Webster Young Musicians program took place this week at Cooks Corners Elementary School in Valparaiso. 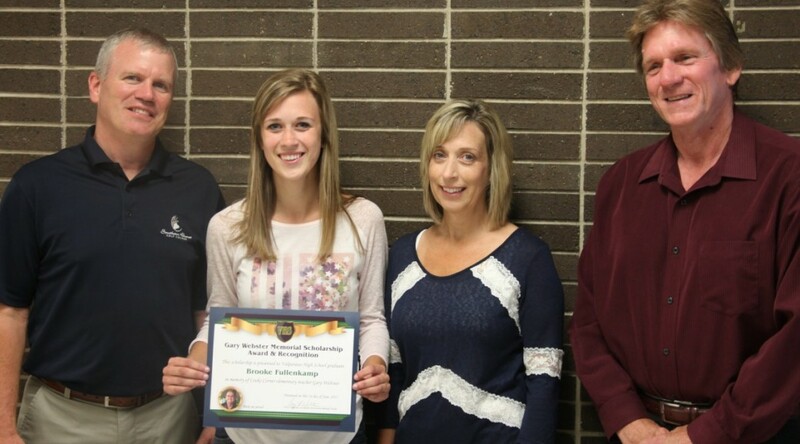 Congratulations to deserving candidate Brooke Fullenkamp as the first recipient of the Gary Webster Memorial Scholarship. Brooke, who will be attending Indiana Wesleyan next fall, has received a $1,500 scholarship for her freshman year, with a $1,000 scholarship to be awarded prior to her sophomore year if she maintains a 2.0 GPA or better during her first year of college. 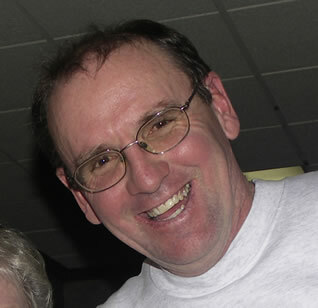 Our wonderful Mr. Webster, dear brother and uncle peacefully succumbed to his valiant battle with metastatic melanoma at approximately 4:35 a.m. on Friday, October 24, 2014. Many of you did not know — which was how Gary wanted it — that he had been battling cancer, as well as Parkinson’s disease, for the past year. He never wanted the fuss and attention that came with that type of news and simply wanted to keep doing what he loved, without disruption, for the students to whom he was so dedicated. He was receiving care with some of the most recently approved cancer treatments at Northwestern Memorial Hospital in Chicago. We had great hopes for extending Gary’s time with us, and we did everything we could to give him a chance to beat this horrible disease, but it was not to be. We are sorry that this website is not yet completely ready, as we are trying to focus on keeping our dear Mr. Webster as comfortable as possible here at the VNA Hospice in Valparaiso. The website is now set up so that students, former students, parents, friends and acquaintances can leave stories, well wishes and whatever comments they would like to make here. Thank you for visiting and we look forward to reading your personal stories about this wonderful man who has touched so, so many lives.